Killer Instinct Season 2 has just launched on the Xbox One, and it brings a whole bunch of new features to the headlining fighting game. Developer Iron Galaxy, the guys behind Divekick and many classic Capcom remakes such as Street Fighter III: Third Strike Online Edition, have taken the reigns after original developer, Double Helix, was purchased by Amazon. This means that they are building on top of a framework that is already there, a game they didn’t design, which puts them in a very awkward position. On one hand, if they change too much they could upset fans of the original Double Helix game. On the other hand, if they change too little, the new characters and options that they are adding will feel out of place. Luckily, Iron Galaxy managed to walk the middle line between making a new experience and honoring the original game. 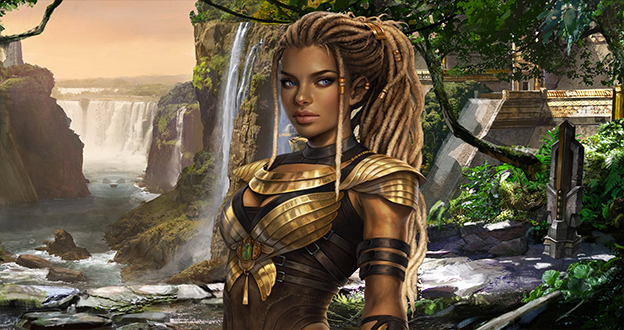 The result is something that feels somewhere between an expansion pack and a sequel, which is pretty much what every fighting game follow-up feels like anyway. The first thing that you’ll notice in Season 2, is a massive U.I. change. Double Helix was all about the flash. Menus were stylized, character select was focused on player portraits, and everything had this harsh and brutal edge to it. Double Helix, with their professional fighting gamer team, has decided to go a different route and instead make the menus far more pragmatic. All modes are laid out right in front of you to start, with the most often played mode, versus, stuck right at the top of the list. Menus aren’t stylized as much, and instead are made of simple easy to read text that doesn’t take up much space on the screen. The place you see this new pragmatic philosophy the most is in the character select menu. The massive character portraits and busy character select screen have all been taken out. Instead, there is a much more traditional character select screen, with two sides and a number of mini-portraits in boxes in the middle of the screen. It feels Spartan, but as the roster grows it’s obvious that this layout will be much more effective as further expansions come out. Characters are grouped in packs of eight, each separated by season. There is even space at the bottom of the page left over for what we can only assume is Killer Instinct Season 3. Gameplay wise, the game is still the Killer Instinct that you remember, with a couple basic alterations that really change how the game is played. For example, you can now air-combo breaker, and air-counter breaker. This means that juggle combos are no longer “safe” for the combo-er. In fact, pretty much no combo is “safe” anymore. Just about everything can be broken at some point, which means that the days of unbreakable combos are pretty much over. Another thing that has changed is hit-stop. It has been increased across the board for every move. Basically this means that every time a move connects, time freezes for a bit longer. This is actually meant to make breaking combos a little bit easier, and it does do that. Unfortunately, it also makes the whole game look a little awkward. Moves don’t really flow the way they used to and doing combos feels oddly robotic. This doesn’t actually affect gameplay in any meaningful way, in fact it helps gameplay by allowing the defender more opportunities to break out of combos. It just feels off. That’s actually the biggest complaint I have with Killer Instinct Season 2. Something feels off. TJ Combo, for example, feels a lot less “extreme” than other characters. His movements are tight and conservative and, while he is an awesome character, he certainly feels like he was designed by a different team than the team who designed Jago. The same goes for air breakers and counter breakers and a lot of the new moves and abilities that characters have. They feel somewhat out of place, like they were hacked in. 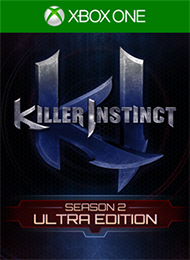 They all make the gameplay better in every possible way, and when all is said and done Killer Instinct Season 2 is probably a much better game than Season 1 was, but things just look out of place at times. The balance changes are also really interesting. Many other characters have changed move properties, changed instinct modes, and more. Jago, for example, can throw double fireballs in instinct mode, and only those heal his life. Fulgore’s meter system has been totally reworked, now being based on a “generator spin” system that constantly builds meter. Unfortunately, this seems to make him a little less useful than before. In fact, the whole tier list seems to have been majorly shuffled around… with the exception of Sabrewulf. Sabrewulf is still awesome. 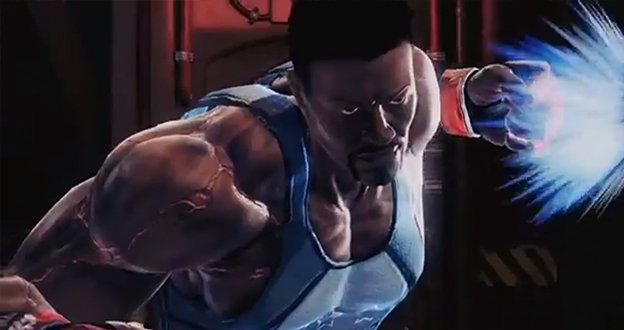 I mentioned TJ Combo earlier, one of the new characters in Season 2. Combo was included as a pre-order bonus for people who got the disc version of the game, so he’s been playable for quite a while. He is a “charge” style character that has a variety of movement and attack options. The things that set him apart from other characters are his ability to “recapture” the opponent, forcing them to stand after being juggled, and his ability to come back after a loss if his instinct meter is full. This means that, unlock other characters, you DON’T want to pop your instinct before the end of a round with TJ. You want it to just sit there and act as an insurance card in case you lose the battle.